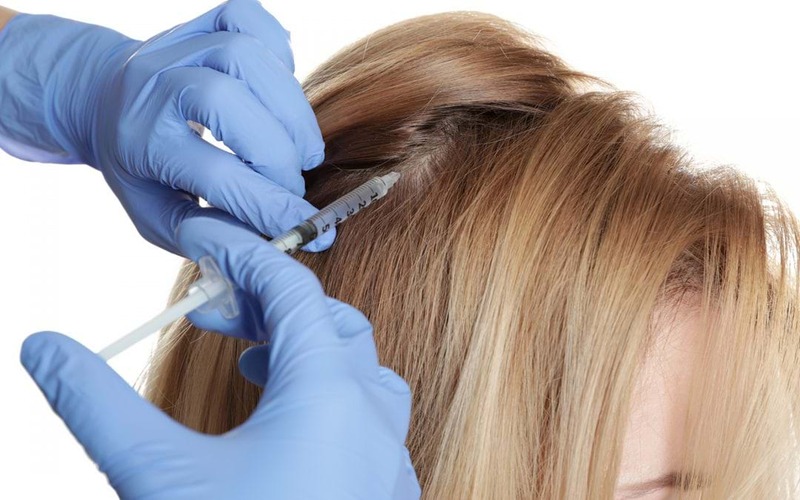 ARE STEM CELLS INJECTIONS EFFECTIVE FOR HAIR LOSS? Hair loss or baldness is huge depressant for many. People with hair loss suffer from decreased quality of life, psychological disturbance and feel self-conscious. There are number of causes which lead to hair loss include ageing, stress, pregnancy in women, hypothyroidism, anaemia, vitamin B deficiency, chemotherapy, auto immune disorder. People keep haunting solution for cure of hair loss that in turn dramatically increased the consumer market for products that promote hair growth. With the advent of new discoveries every day, we have a number of remedies for treating hair loss. A range of therapeutic options ranging from drugs to home remedies to surgery are available. Topical and oral chemical remedies are often effective in halting the progression of hair loss but have side effects also. Finasteride is approved drug for men only; however associated undesirable side effects are diminished sexual function and increased risk of prostate cancer. Side effects with another drug Minoxidii include scalp irritation, unwanted hair growth and rapid heart rate. Laser therapy involves heating by electromagnetic radiation: whose energy penetrates the scalp leading to increased blood flow and signals that cause hair growth. 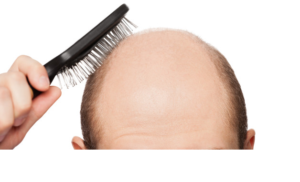 Hair transplant is a surgical process which involves transferring of hair from one part to bald site. It gives permanent solution to hair loss, but it is painful and expensive process and also causes bruising, bleeding, infection, inflammation etc. So, our search is still on- is there any other effective way to address the hair loss problem? With the advent of regenerative medicine, stem cells therapy has emerged as a new therapeutic option for cure of hair loss. Stem cells are actually present in the hair follicles that ensure continuous supply of cells throughout person’s life. Thus, it helps in multiplying hair cells on a fast pace treating hair loss or baldness. In certain circumstances, they fail to produce new hair, cause hair loss. Stem cell therapy is non-surgical therapy that stimulates the regrowth of hair follicles. The procedure of Stem cell therapy for hair treatment involves isolating stem cells from autologus source mainly from adipose tissue and injecting back to patient to scalp either alone or with platelet rich plasma (PRP). PRP is rich source of growth factor, derived from patient’s own blood. A very recent study published in 2018 explored the potential of adipose tissue derived stem cells in alopecia (bald) patients. This study showed that the transplantation of autologous adipose tissue derived stem cells (ADSVCs) is safe and effective and can be considered an encouraging cell-based therapy for the treatment of hair loss. ADSVC injection promotes good stability of the hair by increasing the hair density, the hair diameter, and decreasing the pull test. The injected stem cells release growth factors, thus promoting vascularization, encouraging new capillaries to form, increasing the production of hair, and improving the supply of blood to the scalp. Stem cell secretes several molecules such as hepatocyte growth factor, vascular endothelial growth factor etc. to media that promote hair growth. Scientists have explored the potential of stem cell conditioned media for treating hair loss. Study published in 2015 reported promising effect of adipose derived stem cells conditioned media for treatment of baldness. Adipose-derived stem cell-conditioned medium was injected intradermally and hair numbers were significantly increased after treatment in both male and female patients. Hair regeneration has become one of the targets for stem cell technologies to restore the hair in Alopecia patients. Stem cell therapy looks a promising option for the treatment of hair loss, though clinical studies with larger numbers of patients will further strengthen stem cell approach.